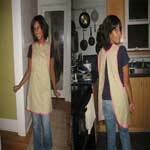 Sew an apron for your next barbeque, to wear as a hostess or just to wear around your own kitchen. 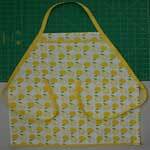 Aprons take approximately one yard of material, so you can sew one pretty inexpensively. And free patterns help the cost too. 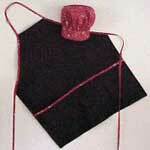 Make a chef's or half apron and add as many or as few pockets as you want. Create your own work of wearable art by customizing one of the projects below. 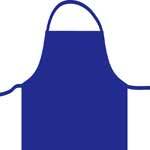 Sew an easy to make apron to wear for your next BBQ. This project uses one yard of 45 inch wide fabric and can be made with a simple straight stitch machine. 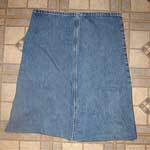 Easy to follow instructions and includes sewing tips. Step by step tutorial on how to make a chef's coverup. This little apron for the dish liquid bottle is so cute and easy to make. 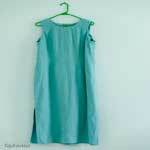 This one by Martha Stewart is truly stylish and comes with instructions to sew your own. This tutorial is not only simple its fun too...get out your old jeans. 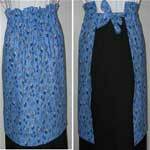 A tutorial for a skirt apron that has a large bow in the back. 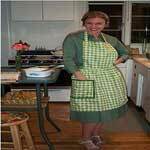 Use a dress and make an elegant, fully-lined and uber-practical apron. A simple project that's a solid piece of fabric with very little detail work. 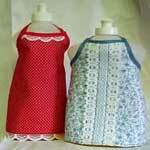 An apron made with medium weight cotton and so easy to sew. 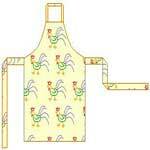 This one brings back memories of when we were kids and mom was in her apron. 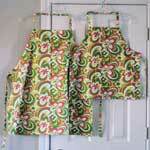 A reversible apron is a good thing to have - two aprons in one. 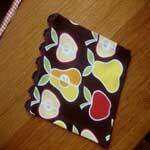 This apron is so easy to put together with new or old dish towels.